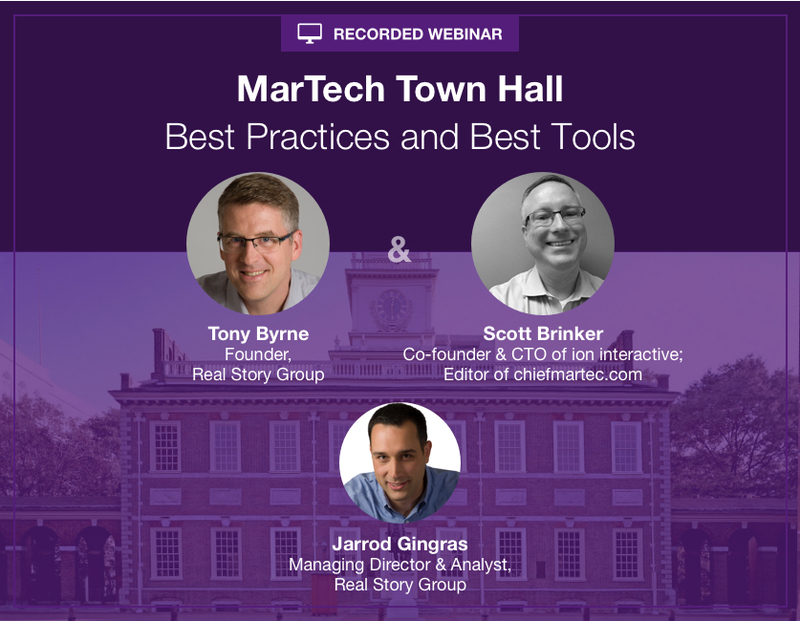 Join Real Story Group and ChiefMarTech’s Scott Brinker for a wide-ranging yet candid look at today’s most pressing topics in digital marketing technology. Set as a virtual Town Hall, you’ll get answers to pressing MarTech questions around effectiveness, operational models, vendor pros and cons, and more. RSG founder Tony Byrne and ChiefMarTech guru Scott Brinker will introduce some key trends and themes, and then solicit your toughest, most urgent questions. The session will prove useful for both Marketing and IT stakeholders, so invite your colleagues to participate.